We expect tonight’s FOMC meeting will be a non-event as the Fed is likely to hold the Federal funds rate of 2.00-2.25%, which is a widely expected outcome. The dollar index (KTM: USDX) shed some of the midterm election gains. Besides, strong Chinese trade data lifted the commodity currencies further, especially NZD. This morning in Asia, RBNZ hold the Official Cash Rate at 1.75% and expect to keep the OCR at this level through 2019 and into 2020. 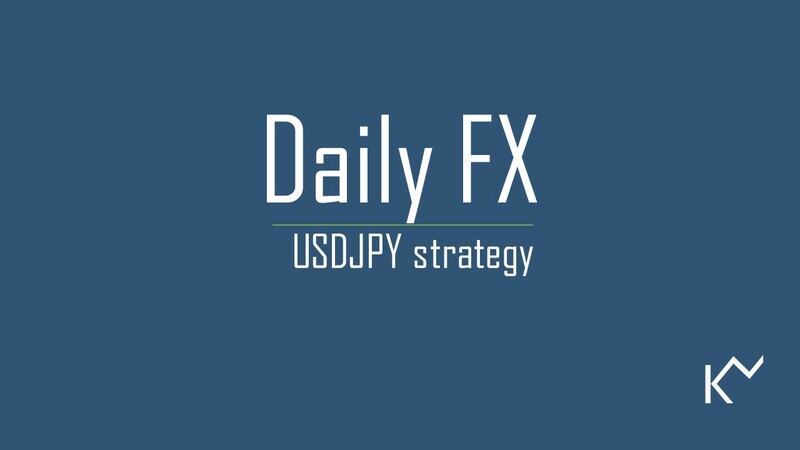 Following the November RBNZ policy review, the FX market is relatively quiet. 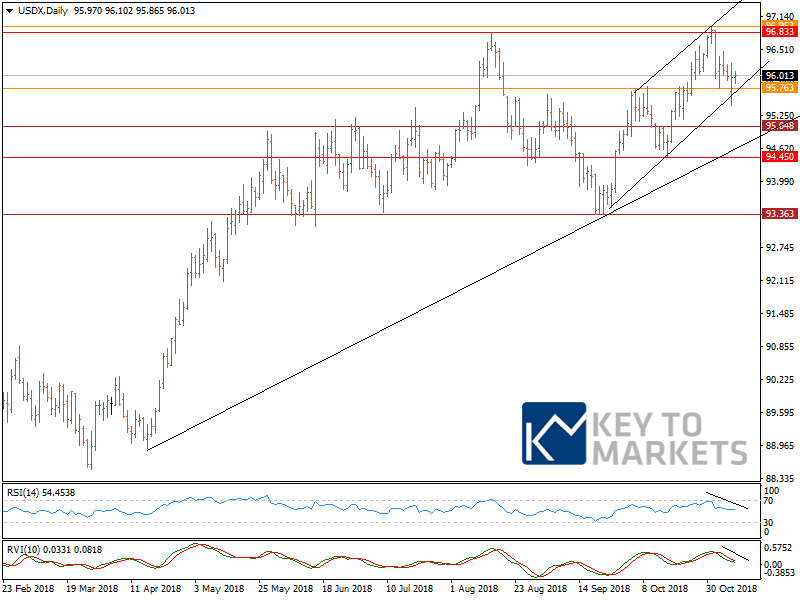 In the M5 chart, the NZD is eased initially and later firmed at 0.6780 against the dollar. Overnight the price action was rejected at 0.6820 its 100EMA, which is our first target set yesterday. In G10 AUD, CHF, EUR, GBP, and NZD remain neutral with no significant moves against the dollar whereas, SEK and NOK strengthen 0.45% and 0.25% respectively. Turning to EM currencies TRY and ZAR trading with 0.95% and 0.60% gains. Moving to commodities Brent oil rose more than a percent, traced out a minor double bottom at 71.15$ below here, focus shifts to 70.50-70.00$ levels. Whereas in the precious metal pocket Gold and Silver lost 0.30% and 0.50% respectively. With the policy divergence, we recommended AUDNZD long trade in Asian hours today. We stay long AUDNZD with a stop loss below 1.0620. Data wise it’s a relatively quiet day. 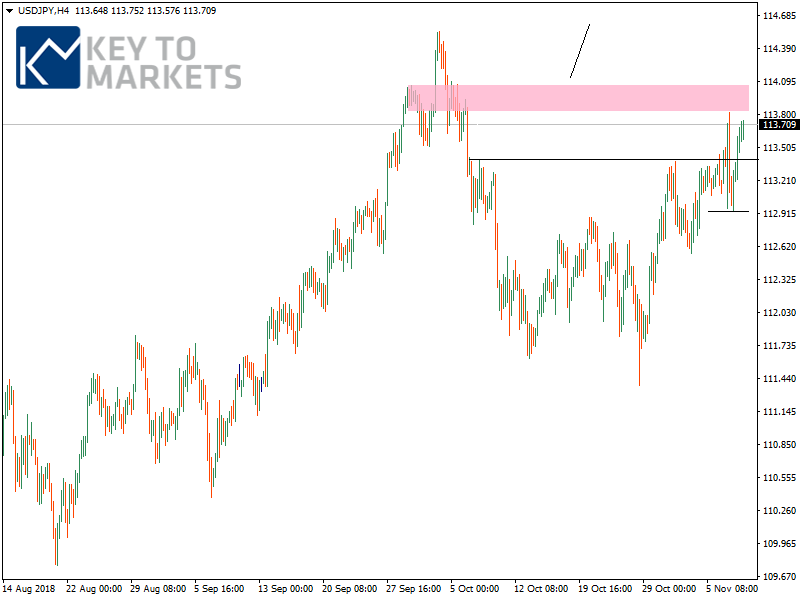 EURJPY: We got two bullish indicators along with the multiple bearish themes.